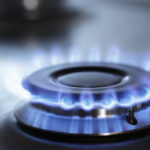 Natural gas prices jumped after the US posted its weekly natgas storage report, revealing a sixteenth straight larger-than-average weekly injection. 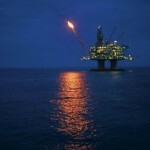 The build, however, was not quite as big as expected and spurred buying, lifting prices for the blue fuel. Natural gas for delivery in September traded at $3.935 per million British thermal units (mBtu) at 14:40 GMT on the Nymex, up 2.71%. Prices ranged from a 10-day low of $3.799 to $3.947 per mBtu. The contract dropped 3.60% yesterday, after reaching a monthly peak at $4.020 on Tuesday. 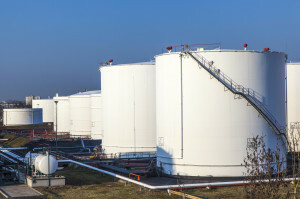 The US Energy Information Administration (EIA) posted its weekly natural gas inventories report today. 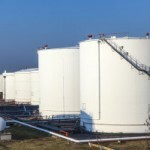 The log revealed that 78 billion cubic feet of natural gas were added to storage hubs in the week through August 8, which was slightly below expectations of a 81-84 Bcf injection, though ~30 Bcf more than the 5-year average gain for the week. Storage levels deficit to the 5-year average were narrowed to 18.9%, at 2,467 Bcf total. The next two weeks will probably also have larger than average builds, analysts at NatGasWeather.com say. Should that projection come through, it would be five months of continuous larger-than-average weekly builds, set to bring inventories back to comfortable levels ahead of heating season, which typically starts in November. Power plants account for 30% of US natgas consumption, and usually air conditioners are put to hard work in the summer, pushing power demand, and therefore natural gas demand, higher. This year, however, below-par temperatures in what is normally peak cooling season depressed prices after the surge in heating demand during the brutally cold winter. The northeastern US are still experiencing cooler than normal weather, with showers and clouds keeping temps at sub-seasonal to near-normal, NatGasWeather.com reported today. Readings will slowly climb into the weekend and early next week. The South remains quite hot, with highs in the 90s and in triple digits in places, with more heat forecast for the next week. Overall cooling demand will be lower than normal, though climbing to near-normal later next week. In the 8-14 day outlook, most of the US will be subject to a high pressure build, which will allow for rising temperatures across many highly populated areas. The North, however, remains vulnerable to cool Canadian air, which could lower temps later in the period. New York will have comfortably warm weather today, with temperatures between 63 and 77 degrees Fahrenheit, several below average, according to AccuWeather.com. Readings will slowly climb to normal into next week, before more cool and stormy systems track through. Chicago remains quite cooler than normal, temps ranging 55 to 69 degrees today, some 10 below average. Readings will be a good 7-10 degrees higher, near the average, for the weekend and early next week. Down South, Houston will have a boring, sunny and seasonally warm day on Thursday, temperatures ranging 77-95, before a slight rise in temps into the weekend, accompanied by afternoon thunderstorms. The start of next week will still be slightly warmer than normal, before a slight cooling later on. Over on the West Coast, Los Angeles is set to see only seasonal weather through to next week, with temps between 63 and 82 degrees. Author: Veselin Valchev Veselin is a financial news writer and editor at Binary Tribune, following the commodities spot and reporting on pricing and tendencies on the futures market.